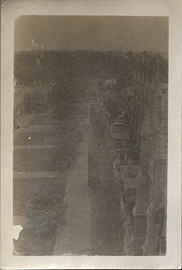 Neuro-Surgical Clinic and Neurological Clinic. 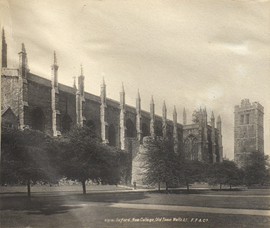 New College and Old Town Walls, Oxford, postcard. 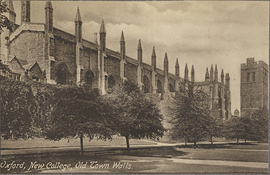 New College and Oxford Town Wall, postcard. 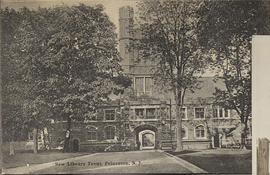 New Library Front, Princeton, N.J., postcard. 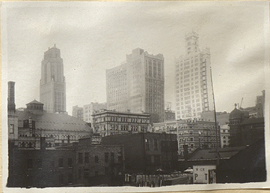 New York City Skyline, 1922, photograph. 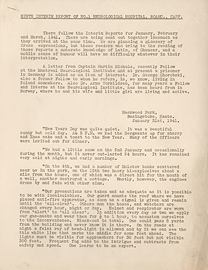 Newspaper clipping reporting on gathering of Rhodes scholars, September 26, 1925. 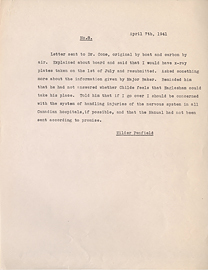 Ninth Interim Report the No. 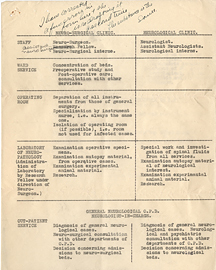 1 Neurological Hospital, RCAMC, CASF, January 31, 1941. 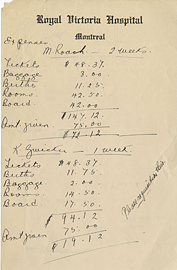 Note for berthing costs at the Royal Victoria Hospital. 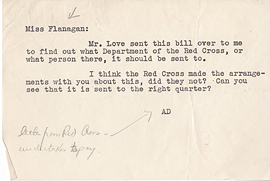 Note from Ann Dawson (AD) to Eileen C. Flanagan. 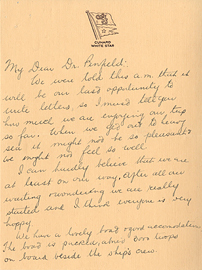 Note from Ann Dawson (AD) to Wilder Penfield. 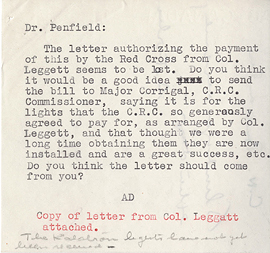 Note from C.E. 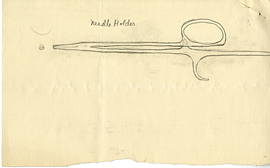 Cross to Wilder Penfield, October 4, 1940. 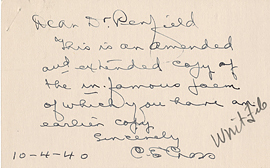 Note from Freda Bossy to Wilder Penfield.